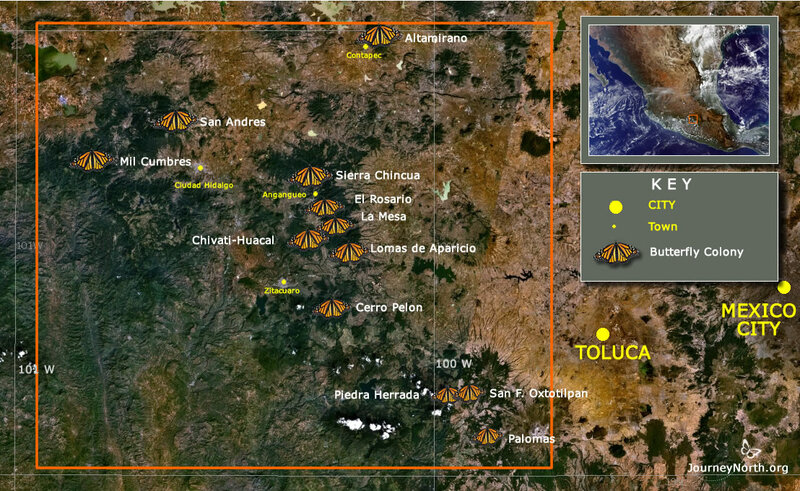 Monarch butterfly overwintering colonies are found in Mexico's oyamel fir forest, a unique mountain habitat. 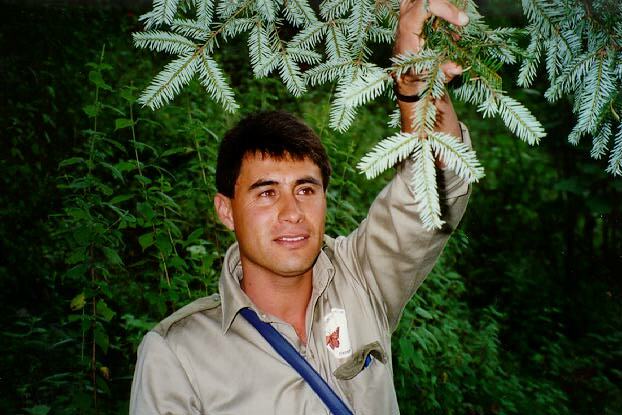 Oyamel firs (Abies religiosa) grow only at high altitudes, between 2,400 and 3,600 meters. The distribution of the oyamel fir forest in Mexico is extremely limited. 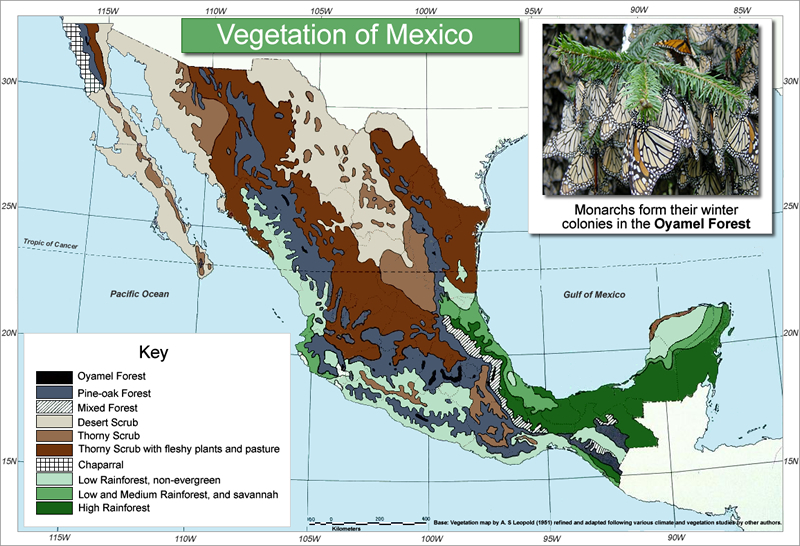 It is shown in black on the vegetation map of Mexico. Oyamel firs are confined to high mountain massifs, which are few and far between. The monarch overwintering sites are found on only 12 isolated mountaintops (see sanctuary map) in Mexico's Transverse Neovolcanic Belt (also called the "Transvolcanic Belt"). The oyamel forest ecosystem is Mexico's most endangered forest-type. Only 2% of the original forest remains. The cloud cover that typically forms around the mountain tops helps provide the moisture oyamels need, particularly during the dry season (Nov.-May). The oyamel forest is a relic from a time when the earth was cooler and wetter. As the earth warmed, the forest retreated up the mountainsides to retain the cool, moist climate to which the trees are adapted. Temperatures at lower elevations are now too warm and dry to sustain the oyamel forest. 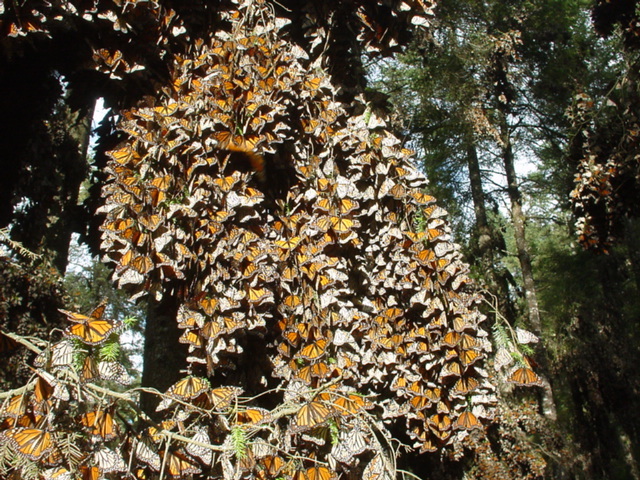 Monarchs appear to be adapted, physically and behaviorally, to the same ecological conditions as the trees. The monarchs seek out these high mountain habitats for the same reason the Oyamel ended up there--it's cool and relatively moist at high elevations when this region of Mexico is parched during the dry season. The butterflies are able to conserve their lipid reserves throughout the overwintering season (which cooincides with the dry season) because the cool temperatures slow their metabolism. At cool temperatures they burn less energy. Although the butterflies are adapted to cool temperatures, if temperatures drop to the mid-to low 20's (F) the butterflies begin to freeze to death. Monarchs are essentially tropical butterflies and cannot tolerate sub-freezing temperatures for very long. Two ecological factors strongly influence the monarch's capacity to resist freezing: 1) becoming wet, and 2) being exposed to the clear night sky (and associated cold temperatures). When monarchs become wet, they tend to freeze at higher (warmer) temperatures than they do when they are dry. In other words, they are at a higher risk of freezing when they are wet. The thinning of the forest is of concern to scientists because this changes the delicate microclimate to which the butterflies have adapted. Anderson, J.B. & Brower, L.P (1996) Freeze-protection of overwintering monarch butterflies in Mexico: critical role of the forest as a blanket and an umbrella. Ecological Entomology, 21,, 107-116. The oyamel fir's is named for the "religious" Christian cross formed at the branch tip.